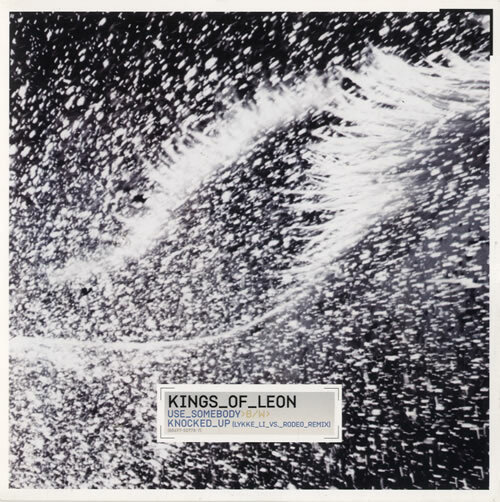 KINGS OF LEON Use Somebody (2009 US promotional-only 2-track 7" vinyl single - the second single from the band's multi-platinum fourth album. Also includes Knocked Up [Lykke Li Vs. Rodeo Remix]. Issued in a custom printed picture sleeve 88697-50778-7).